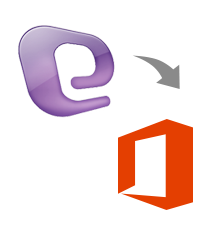 This is the most effective and easy software solution to connect Entourage 2008 to Office 365 mailbox. It is a completely reliable solution that can migrate all emails from Entourage mailbox to O365 account with attachments. Need For using an Entourage to Office 365 Converter? This is a user-friendly option for all those trying to move out of their old mailbox in MS Entourage. It is also highly recommended tool to move emails from a Macintosh computer to an Office 365 account in Windows. It can be used to migrate multiple Entourage files to different Office 365 mailbox under the same domain name. The office is moving emails from Entourage to the latest cloud services provided by Microsoft Office 365 cloud. 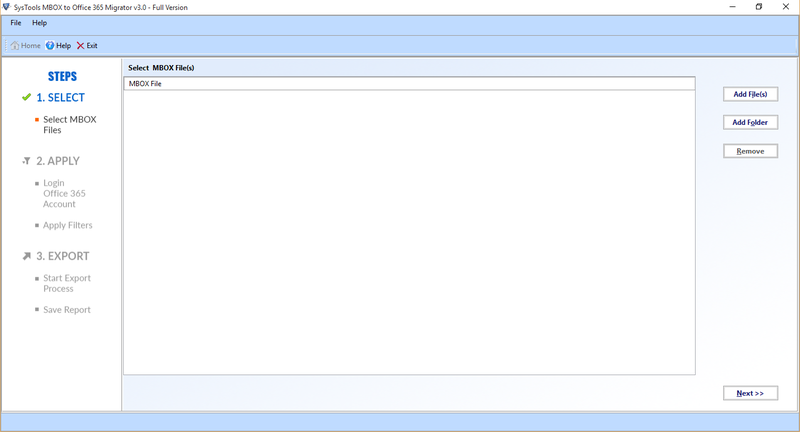 Completely transfer emails from Entourage mailbox to Office 365 account. Use the Impersonation method to move emails under the same domain name. 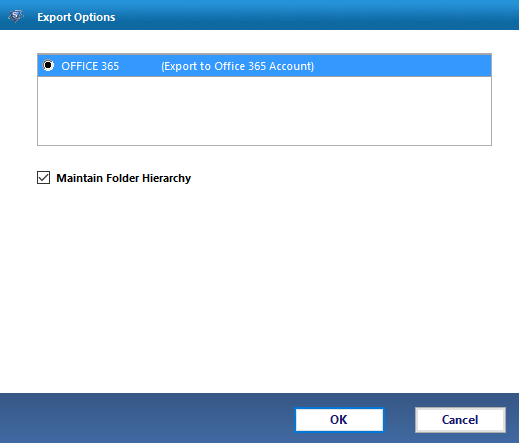 Migrate multiple .Entourage files to single or multiple different Office 365 accounts. Map separate Entourage files with their respective O365 mailbox folders. This is a better and cost-effective solution to repair all corruptions in an Entourage mailbox. The tool can recover any email message from a corrupt Entourage file with attachments. The software provides facility to migrate the recovered emails to a mailbox in Office 365. Do I need to have Entourage installed before converting into Office 365 format? No, it is not essential to have Entourage installed on the Windows migration machine to transfer emails to Office 365 mailbox. Are my Office 365 administrative or login credentials saved anywhere by the tool? No, the software does not save the admin credentials of the Office 365 account anywhere. The Entourage Office 365 tool is very safe and secure to use. What are the benefits of using the free version of the full version of the product? The free version has all be benefits and facilities in the full version. The only difference is that the free version can migrate only 25 emails per folder. It is recommended that a user tries the free version before buying the full version. Are there are prerequisites to migrating Entourage into Office 365 mailbox? 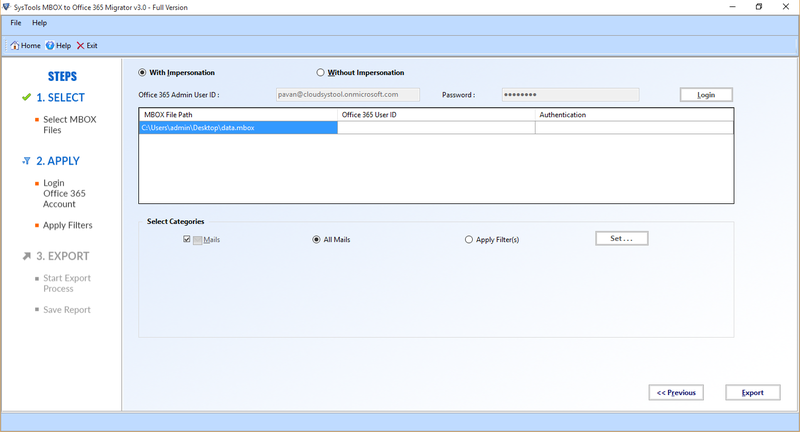 Yes, login credentials are needed to import Entourage file to Office 365 account. This can be administrative credentials in the case of using with Impersonation option. Or it could be regular username password when migrating Entourage using without Impersonation method.